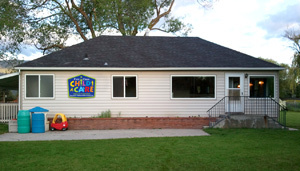 First Class Child Care is a Missoula licensed child care facility that provides a daily preschool program as well as before & after school care for children 3 to 12 years of age. We are located at the corner of South Ave. West and Clements in Target Range (across from Target Range School). We can be reached at 406-549-9845.